Of all the many occasions that demand wine, I have to say that Monday is high up on my list. And a Monday that comes with a good cause and wine? Well, what could be better! Which is why a pair of my pearl earrings will be attending Taste the World, a wine tasting to raise money for children’s hospitals in Myanmar. It’s happening this Monday, January 25, at Vancouver’s Four Seasons Hotel. You can learn more about the organization and get tickets here. Unfortunately, I can’t be there. 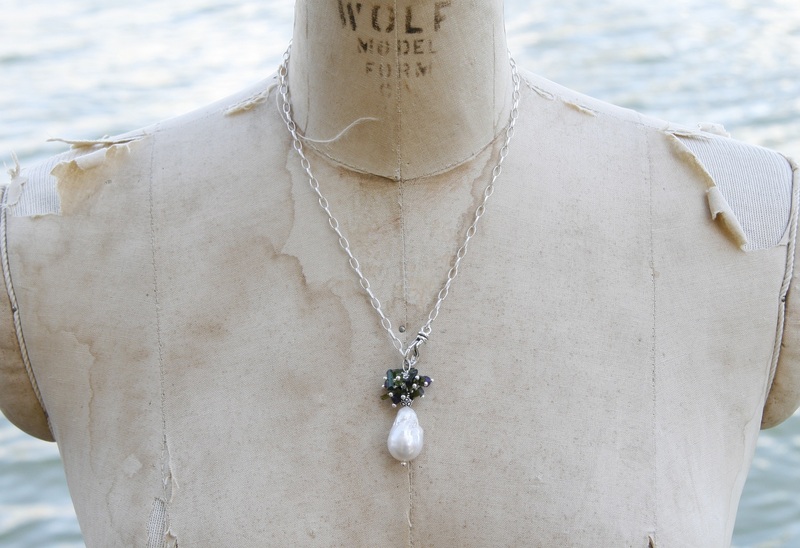 But a pair of my pearl drop earrings will be part of their silent auction. 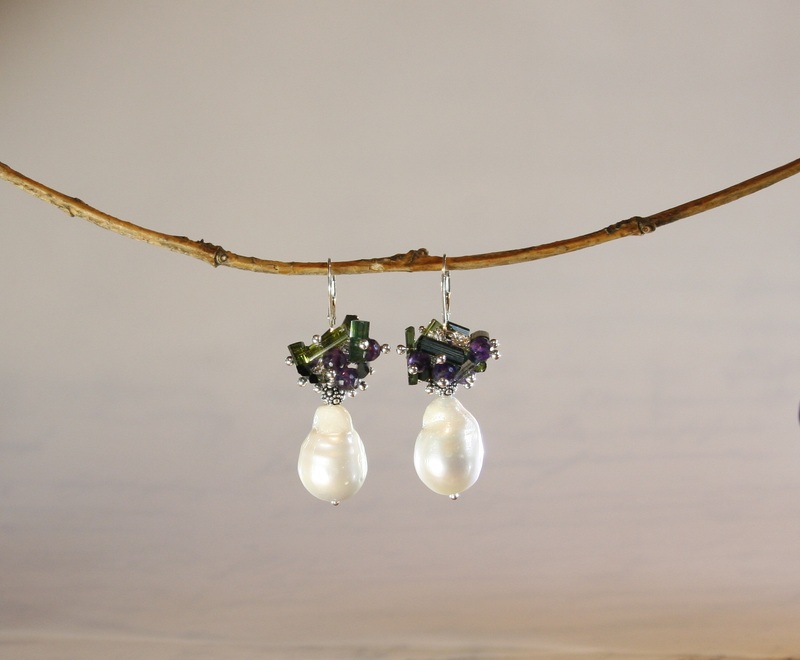 These earrings star some large, showy iridescent baroque pearls, about 21 mm long on sterling silver hooks. 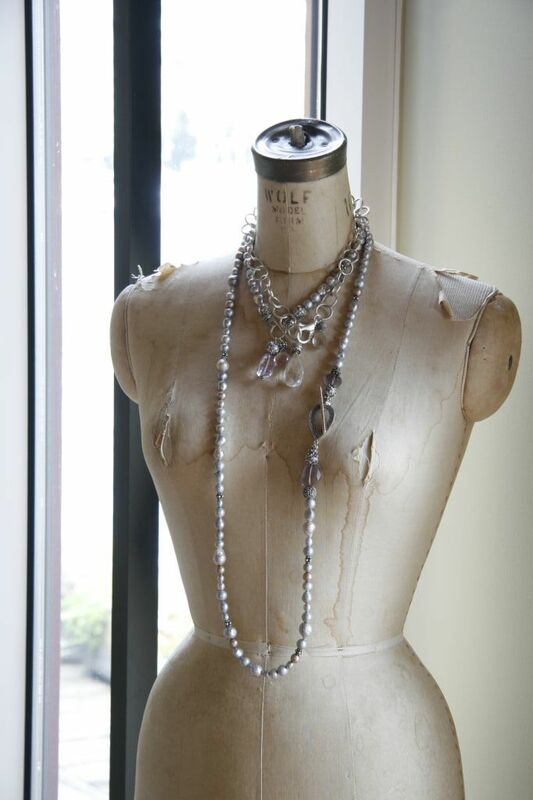 They’re topped with a tutu of faceted iolite, cubic zirconia, and amethysts to pick-up the flashing shades of purple in the pearls. They’re one of a kind – I designed them specifically for this fundraiser – and they’re priced at $235. So, if you have some time on Monday evening, and are in search of some fine wine, I can’t think of better place to find it.